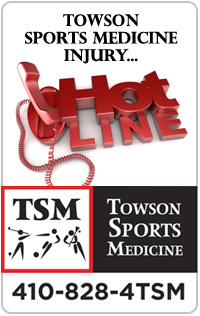 The pediatric sports medicine program at Towson Orthopaedic Associates strives to serve children and adolescents by diagnosing and treating sports medicine related injuries and illnesses; preventing injuries; educating parents, coaches, and athletes on common injuries; and assisting athletes in reaching their full individual athletic potential. 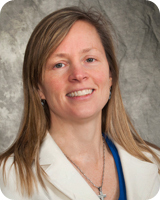 Dr. Teri McCambridge, a board certified pediatrician and sports medicine physician, received her fellowship training from the University of Wisconsin-Madison and her medical school and residency training at the Johns Hopkins School of Medicine and Hospital, respectively. Dr. McCambridge is the former chair of the American Academy of Pediatrics Council of Sports Medicine and Fitness, an executive member of the American College of Sports Medicine’s Exercise is Medicine Pediatric Committee, and on the Council of Champions for the American Orthopaedic Society of Sports Medicine’s STOP campaign. Dr. McCambridge leads a team of certified athletic trainers, physical and occupational therapists who are dedicated to returning the youth athlete safely and quickly to activity.